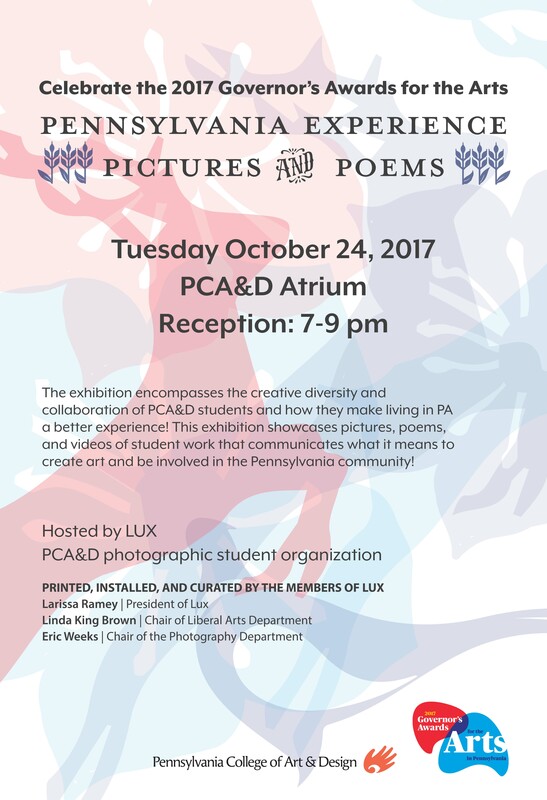 As part of the 2017 Governor's Awards for the Arts in Pennsylvania, held this year here in Lancaster, PCA&D's photographic student organization LUX will be hosting "Pennsylvania Experience: Pictures and Poems," Tuesday, October 24. A reception will be held from 7-9 p.m. This exhibition will showcase pictures, poems, and videos of student work that communicates what it means to create art and be involved in the Pennsylvania Community. 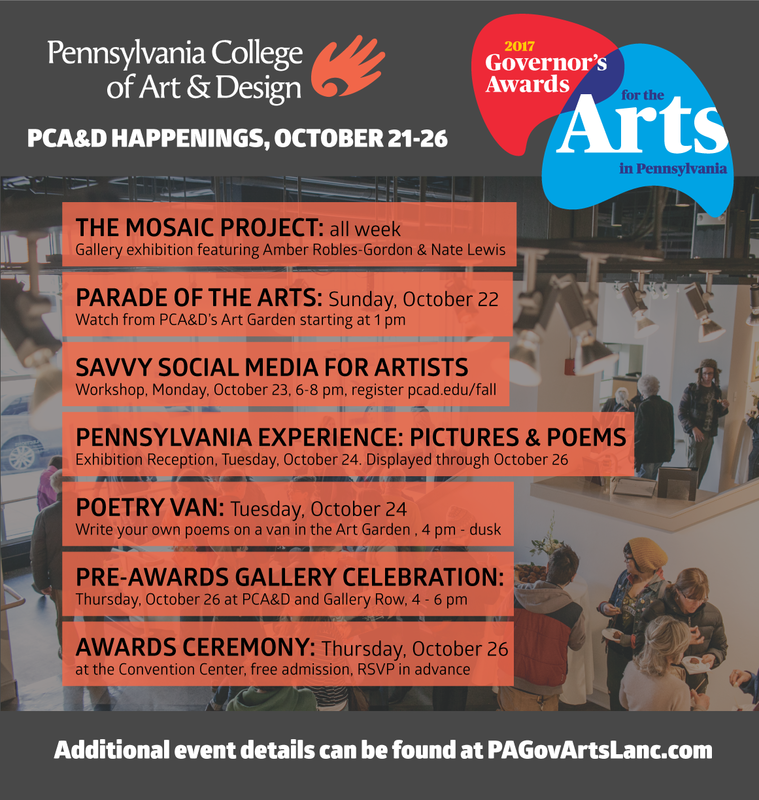 The 2017 Governor's Awards for the Arts in Pennsylvania will be held October 21 - 26 and the Lancaster arts community including PCA&D has rallied together to create a week of events leading up to the ceremony on Thursday, October 26. Awards Ceremony: Thursday, October 26, 7 pm at the Convention Center, free admission, RSVP in advance on Eventbrite. The awards ceremony, honoring several artists and arts supporters from around Pennsylvania (including Lancaster! ), is free and open to the public! Reserve your tickets on Eventbrite, and go to www.pagovartslanc.com for a full list of events!